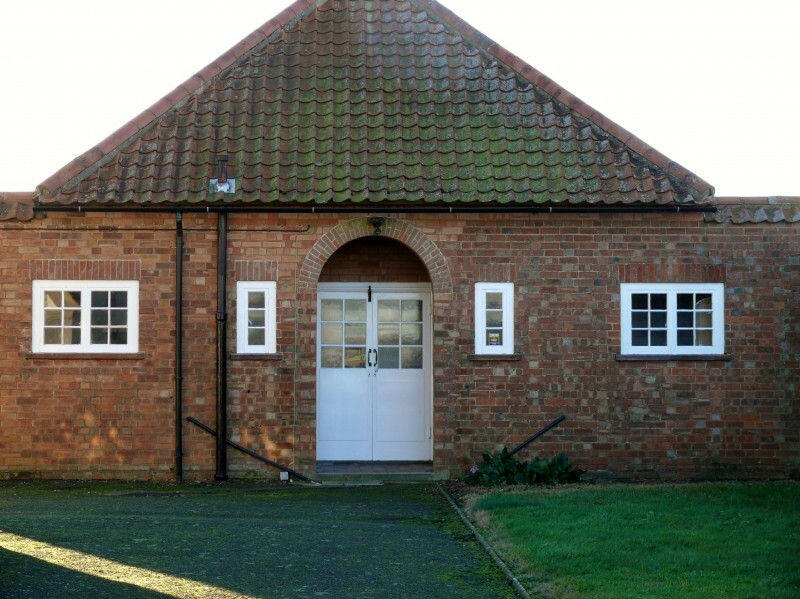 This is a large modern church hall with a good sized fitted kitchen which has 2 oven and a fridge freezer. There are a further 4 fridges and freezers available. The kitchen has a microwave and tableware for 100 guests. There are electric wall heaters, a disabled toilet with baby changing facilities plus security locks on the entrance doors. 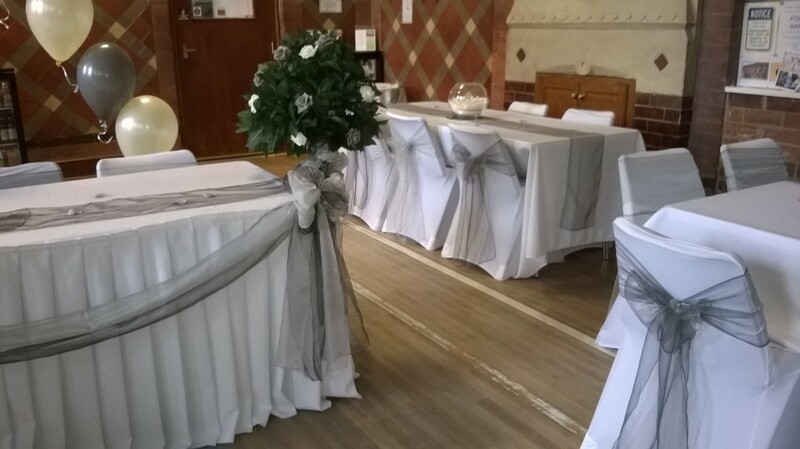 The hire charge is £10 per hour and you should include setting up and clearing away in the length of time you book the hall for. Please contact Geoff or Debbie Reynolds to book the hall on 01775 841585. 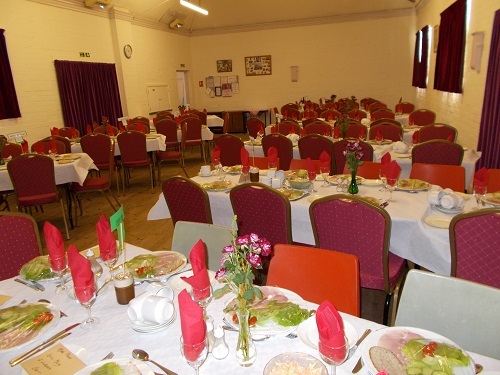 Newly decorated main hall with all new tables and comfortable chairs. Suitable for birthdays, anniversaries, lunches or any celebrations. Hourly hire rate is £10. 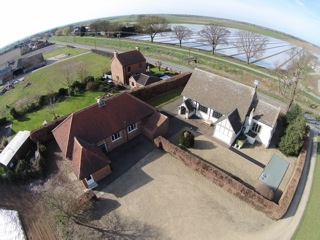 Aerial view of church and Hall. 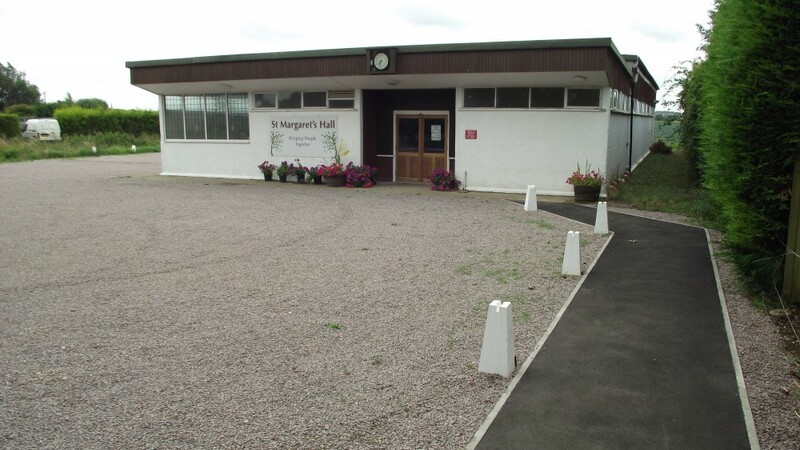 The hall and car park are on the left. 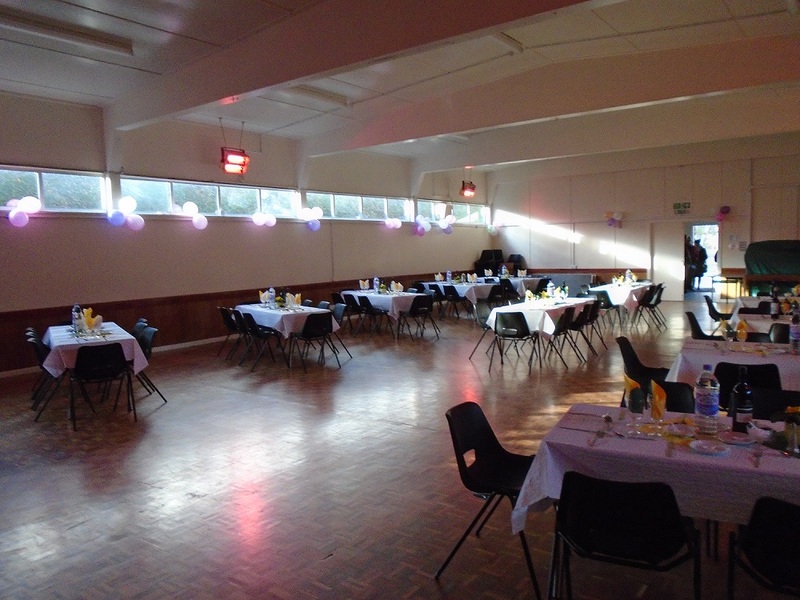 This hall is available to hire for parties, christenings, workshops, events, clubs & meetings. 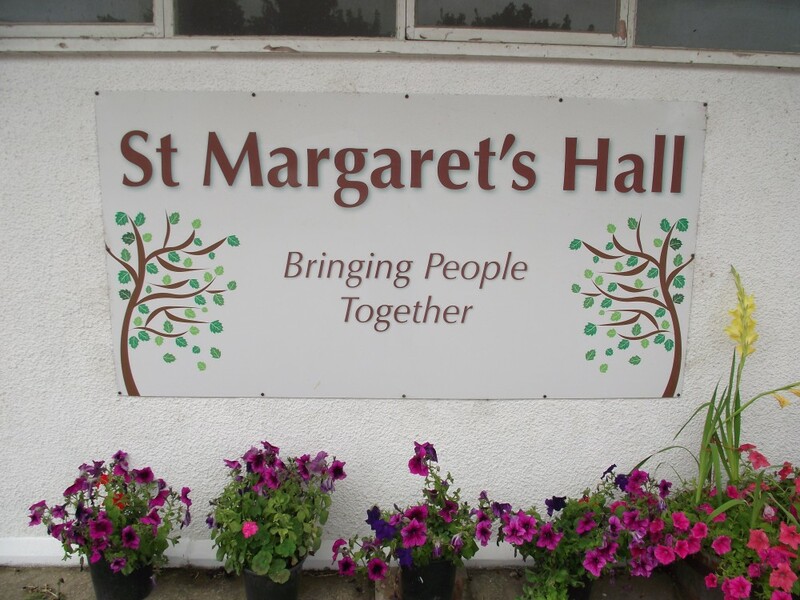 The hall can be booked through Margaret Atkin on 07816 544084. 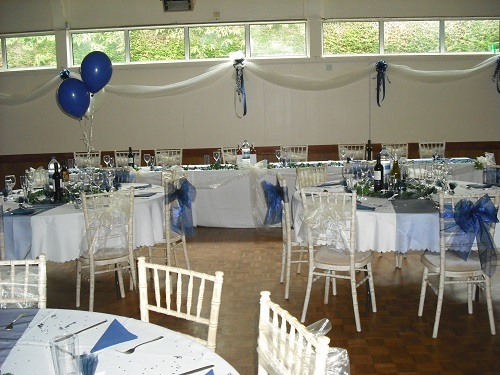 The hourly rate is £10 per hour and you will need to pay a £35 deposit for the hall. This is given back to you provided the hall is left clean and tidy and all rubbish is taken away with you.. 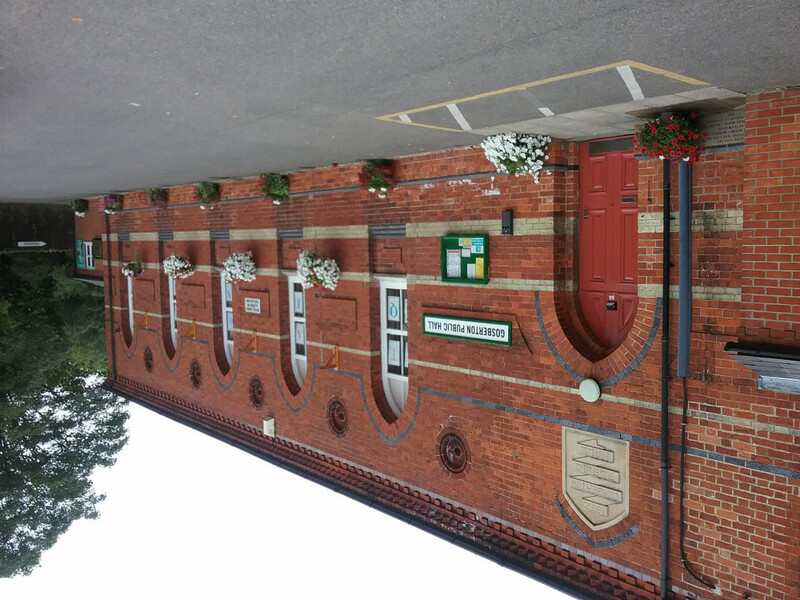 The hall has a big new recently refurbished fitted kitchen, with fridge, cooker, cups & saucers, cutlery and cleaning products. 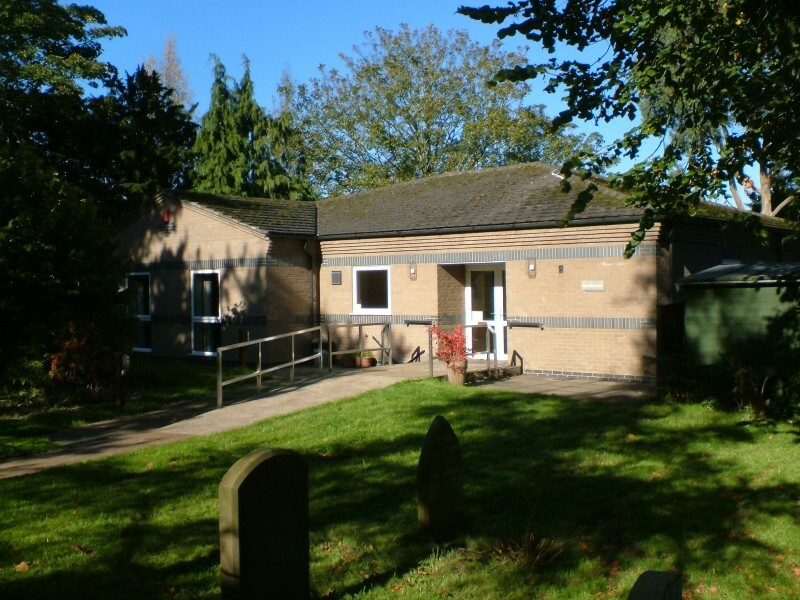 There are re-furbished cloakrooms included a disabled toilet and a large main hall for functions for a maximum of 80 people. There is wheelchair access and parking at the front for 20 cars. If a bar is required a Temporary Event Notice is needed which the committee can help with. Suitable for birthdays, anniversaries, lunches, events or any celebrations. Seating and tables for up to 200 people. 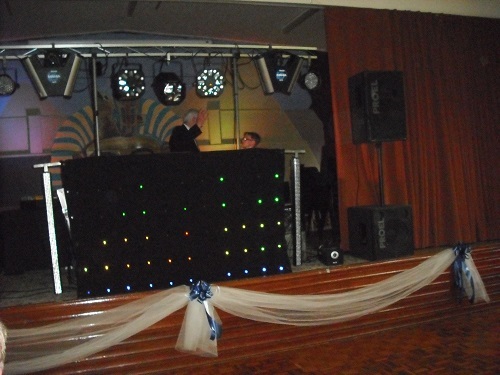 £15 per hour hire charge for regular users and charities and £17 per hour for all other events. 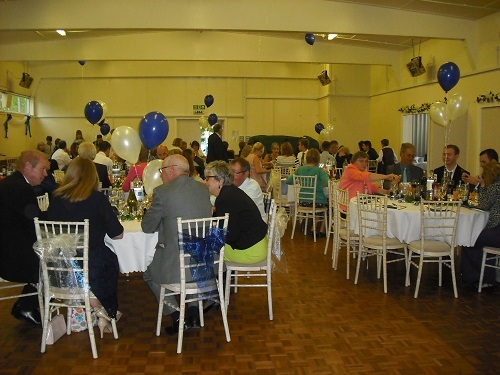 All single use events booked must be paid for in advance and a returnable deposit of £50 providing the hall is left clean and tidy. Please make sure you include time for setting up and clearing away after your event when you make your booking. 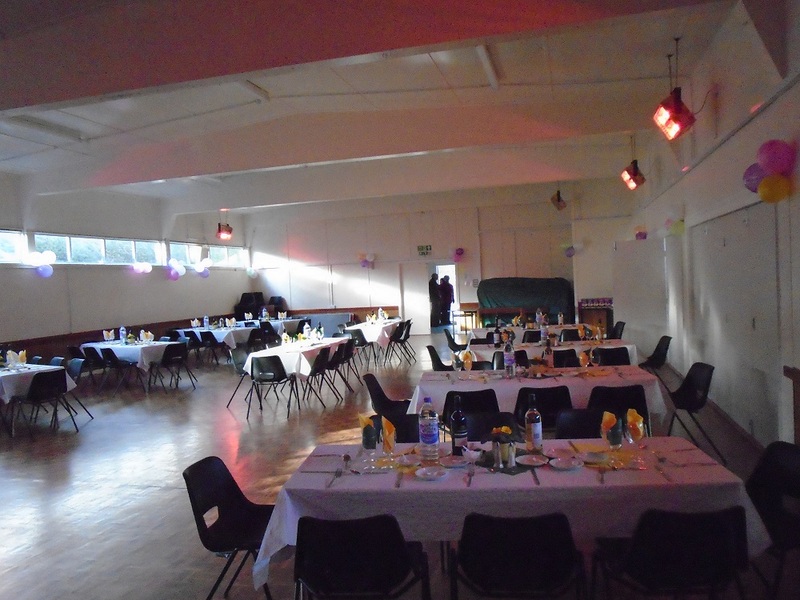 A fully equiped large hall which costs £15 per hour to hire. 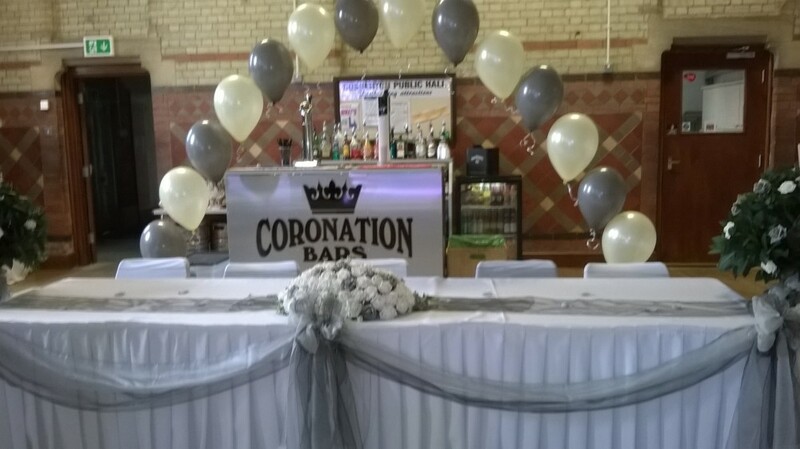 Ideal for weddings, parties, events and meetings. We can accomodate 100 people and there is a modern fitted kitchen. There is also a modern meeting room upstairs which can be hired - see pictures below. A £50 refundable deposit is charged for all bookings. This is refunded when the hall has been left clean and tidy.